PCG's second NMTC transaction will construct a new 105,190 square foot high school for Hiawatha Academies in Minneapolis, Minnesota. A redevelopment of a former warehouse building, the three-story high school will serve 788 students and have 36 classrooms, science labs, performing arts spaces, a gymnasium, stage, lecture hall, and soccer field. 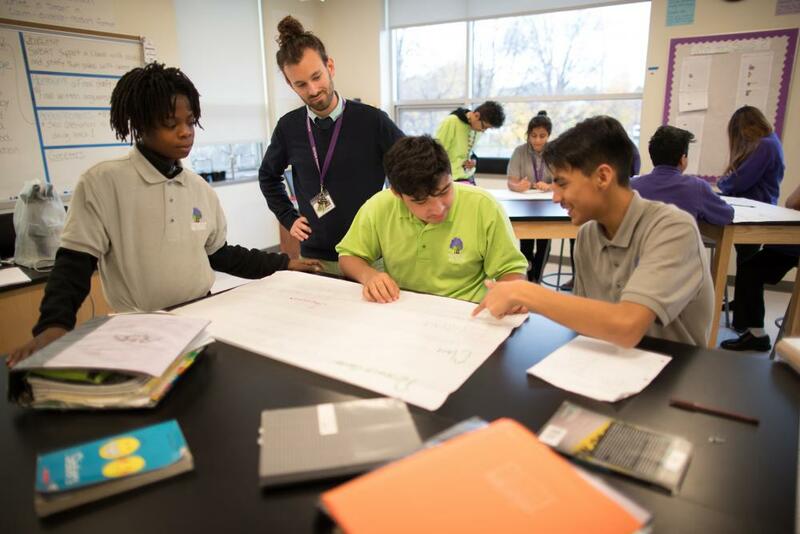 Hiawatha Academies is a K-10 network of four public charter schools serving over 1,200 students from predominantly low-income, minority communities in south Minneapolis. Of Hiawatha’s existing students, 91% qualify for free or reduced lunch, 65% are English language learners, and 11% are special education students. Hiawatha schools have achieved performance ratings in the top 15% and 25% of Minnesota public and charter schools, respectively. The project will create 30 temporary jobs and 68 permanent jobs for local residents. PCG provided $6 million in NMTC allocation for the $27 million project. Sunrise Banks also provided NMTC allocation as well as a direct loan. Additional loans were provided by Old National Bank (previously Anchor Bank) and Propel Nonprofits (previously Nonprofit Assistance Fund). Chase Community Equity, LLC was the NMTC investor. The Music Settlement, a child development program that provides free or low-cost musical training for youth, will expand to serve 128 students with a loan from PCG. A Milwaukee youth and social service center expanded to a new 48,000 sq. ft. building with PCG financing. Lower Lights is expanding their community services to provide access to a healthy grocery store, cafe, and commercial kitchen in addition to their affordable quality health care on the west side of Columbus, Ohio.